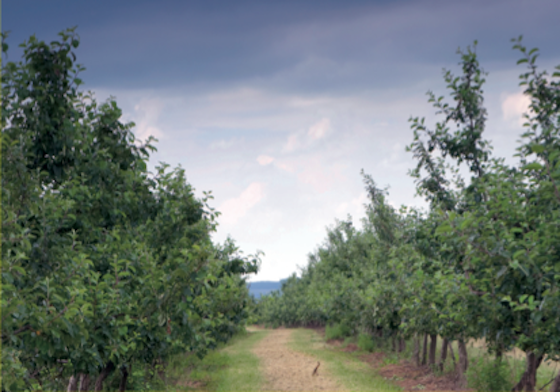 The forecast is in – and it looks like the cider market is going to be cloudy this autumn. A rainy summer has put the (wellington) boot into an already struggling mainstream cider market. Once a surefire winner, the £1 billion market has lost £35 million in the past year, according to IRI. In response, cider producers are making like the weather and launching cloudy products – tapping into a growing appetite for authenticity and provenance that hasn’t been dampened by the wet summer. IRI’s head of beer, wine and spirits insights Toby Magill says mainstream and premium mainstream brands such as Strongbow and Stella Cidre were hardest hit by declines driven by the poor weather, while traditional ciders that are seen as having more heritage and provenance, such as Westons, Thatchers and Aspall, have fared better. With craft, small-batch and local ciders gaining more interest and traction in the market, major brands are looking to give consumers the authentic experience they are looking for by experimenting with more traditional styles – such as cloudy ciders. This year Strongbow released its Cloudy Apple variant, Westons has seen premium cloudy brand Old Rosie grow more than 50% in the off-trade and launched a lower-abv offshoot called Rosie’s Pig, and Thatchers has released 4.5% abv Somerset Haze. Heineken’s off-trade category and trade marketing director Craig Clarkson says Strongbow Cloudy Apple’s launch has been a success. “Strongbow Cloudy Apple taps into a huge opportunity to innovate within apple cider, especially among the new generation of cider drinkers who entered the category through flavours and are now developing their taste preferences and seeking a return to the authenticity and tradition of apple ciders,” he says. Clarkson also predicts a bright future for fruit-dominated world ciders such as Heineken’s New Zealand brand Old Mout, which added a fourth flavour, Strawberry & Pomegranate, this year. Westons head of sales Geoff Bradman tells OLN the company has had a record year for sales. He says: “Consumers want to buy great-tasting ciders with authenticity behind their propositions, and the revival of the beer category has shown the way, with the growth of craft beer brands with authenticity at their heart. Thatchers managing director Martin Thatcher says: “There’s a real thirst for ciders that have genuine provenance and heritage. People have a genuine interest in where their drink comes from and how it is made – they want to know it’s the real thing. A social media campaign this autumn aims to build on the outdoor campaign the brand ran over the summer. Aston Manor is tapping into the market for premium and craft ciders with the release of Friels First Press Vintage Cider, which it is calling a craft cider. Sales and marketing director Glen Friel says: “Vintage ciders are establishing a real sweet spot in the category, growing well ahead of the market at more than 19% and adding £4.2 million to category sales in the past year. “Friels First Press Vintage Cider is made using only the juiciest, first press of Red Falstaff, Katy and Windsor eating apples from the 2014 harvest of orchards in Worcestershire and Herefordshire. We’ve crafted a vintage cider that’s pure, refreshing and flavoursome. Daf Pugh Williams, senior innovation commercialisation manager at Diageo GB, which this spring launched spirit cider Pimm’s Cider Cup, says: “There is an inescapable excitement currently around products with authenticity, craftsmanship and character. Consumers are increasingly curious about the products they purchase and want to treat themselves with rewarding products and experiences. Aspall partner Henry Chevallier Guild warns that mainstream producers – especially major brewers – entering the cider market are draining its value. “Apple cider sales have shown continuing steady decline that coincides worryingly with the first full 12-month availability of the brewer brands,” he says. While Aspall brands have performed “within our aspirations”, with growth of 3.4% for Premier Cru, Chevallier Guild says fruit ciders have taken volume from apple and called spirit ciders “an unwelcome distraction”. He says: “The mainstream fixture is in danger of derailing itself as we see a swathe of price-led activities and incentives that add no value to the consumer offer. “The vast majority of cider consumers are notorious part-timers, dipping in and out of the category as the mood and the weather influences them. Ciders that do not offer the satisfaction promised or expected will drive consumers away from the category. Specialist organic supplier Vintage Roots believes that, while sweet drinks trends come and go, traditional dry ciders are here to stay. Director Neil Palmer says: “We feel that more consumers will turn towards organic in the coming years as there is more education on the benefits of moving away from pesticides. Every product in the Vintage Roots range is certified organic or contains organic ingredients and we are passionate about making organic options easily available for consumers everywhere. “Fruit ciders have been growing in popularity alongside other novel drinks, such as speers, as consumers continue to look outside the box for new and exciting beverages. “While some brands are jumping on this trend, Vintage Roots continues to provide more traditional options that focus on quality rather than innovation. Angela Ham, customer marketing controller at Magners owner C&C Brands, believes there will be an apple cider revival. Harry Fry of family-owned Somerset producer Harry’s Cider agrees. He says: “Our apple cider sales have continued to grow significantly and are 60% up on last year.